Since our commencement, we are engrossed in providing Gold Coin. Available in different sizes and grams, these coins are widely demanded by customers. 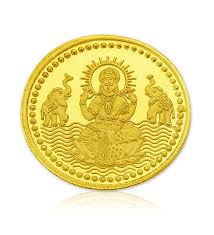 Our clients can avail from us Small Lakshmi Ganesh Gold Coins, which are light in weight and have fine finish. These coins are engraved with Ganesha and Laxmi, which are idols of Hindu religion. Our coins are light weight and are widely appreciated in the market for excellent finish. 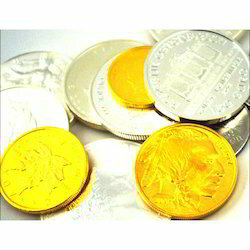 Furthermore, we are capable of offering these coins to the clients in bulk quantities. We are dealing with the gold jewelleries like gold coins.